Buick has been in business for eleven decades (110 years) and in that time has had a lasting impact on the automotive industry as well as on the lives of everyday drivers through the generations. Here are the most influential vehicles Buick produced in each decade of its life so far. 1903 - The first Buick built was the 1904 Model B, which was sold to Doctor Herbert H. Hills of Flint, Michigan. Fitting that the "doctor's car" would be first sold to one. 1916 - The top-selling model of the time was a 1916 D-45 Touring, which was likely due to Buick's switch from a four- to six-cylinder engine lineup. Sales that year tripled from the year before, making Buick one of the first automakers in history to break six digits. Not long afterwards, Buick would become the top-selling brand in the industry. 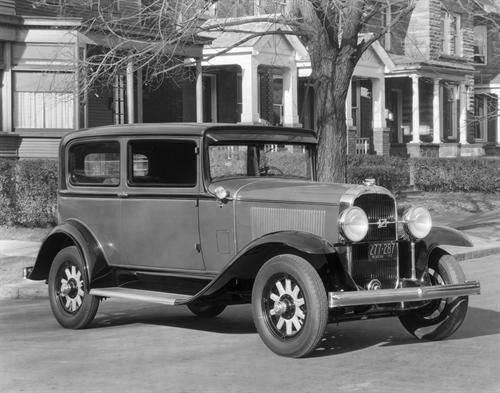 1931 - It would be another decade before Buick again hit its stride, with the 1931 Series 50 (pictured) being the best-selling model in the lineup thanks to another engine size increase, this time from six to eight cylinders. The Great Depression saw many in the industry suffer and die, but Buick held its ground thanks in no small part to this model. 1936 - Not long after, the first 1936 Buick Century was introduced and revolutionized the Buick name. With more powerful engines, more streamlined, modern designs, and a revolutionary vision, the Century was the first Buick capable of 100 mph. Sales nearly tripled from 1935-36, thanks in no small part to this car. 1949 - The most iconic Buick of all time, the 1949 Roadmaster, was introduced and became the design base upon which all future Buicks, including today's, would be based. It featured signature waterfall grille work, porthole air intakes, and more. This is the most collectible Buick ever made. 1953 - In this year, the Skylark came to market and was an opulent, limited-production convertible with Italian wire wheels and its owner's name engraved on the steering wheel. This year also introduced the Dynaflow automatic transmission. 1963 - A powerful sport coupe called the 1963 Buick Riviera was showcased this year. It pulled Buick out of a long spell of boring design work and propelled them into the spotlight again. 1975 - Amid a nationwide oil crisis, Buick introduced a six-cylinder engine to begin a trend of downsizing and meeting newly-enacted federal regulations for fuel economy. The 1975 Regal lead that charge. 1987 - The most iconic performance Buick ever produced was the 1987 GNX, which featured a turbocharged, intercooled V-6 producing 276 horsepower and 0-60 mph acceleration times of just 4.7 seconds. 1999 - Buick entered the Chinese market this year with the 1999 Century, beginning the company's trek towards becoming the best-selling brand in China - a title it holds today. 2008 - The Enclave crossover showcases Buick's new, modern look for today's era. A new focus on luxury and premium quality is shown with new design language in today's Buicks. After 110 years, the brand is still going strong. What will the model of the next decade be?